This is a superb lens and blows away the stock lens provided .. 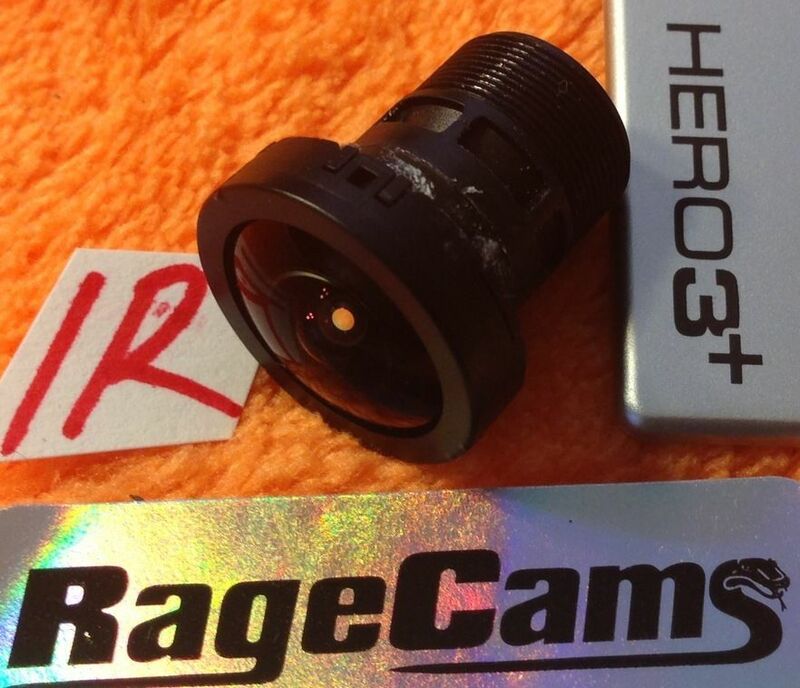 This authentic 5.4mm lens with exclusive RageCams focus ring is strictly set up for easy installation on the Hero4, Hero3+ Black, Hero 3+ Silver & Hero3 White models only, & comes with proper rings with gap/dust ring fillers unlike others sold on the market that will not hold the lens tight & it will wobble around in the lens holder & can vibrate out of focus while in use. 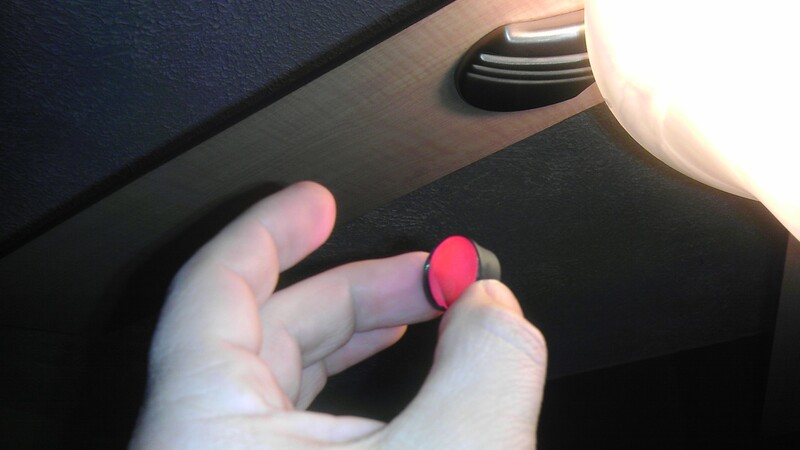 This deal also includes a top and bottom lens storage transport cap for your stock lens after removal. If you have the Hero3 Black (non plus edition) we can send you the lens shaft free needed to install this lens correctly in your camera. Please note that the stock lens cannot be used anymore on the Hero3 Black, & hero3 silver (non plus edition) unless you re-install the old lens shaft holder. Please provide your model camera, in the comments box provided during payment to speed up the delivery process; otherwise we will email you after receiving your order. We will not ship without verification. If you're interested, please inquire within! You may ask why not just use the GoPro de-fish software instead of changing the lens? Answer: The correction tools in GoPro Studio 2.0, removing the fisheye will twist the edge of the video & make it even worse. Every time you yaw your helicopter, it will make a very hard & narrow point of movement & the edge will be strange. 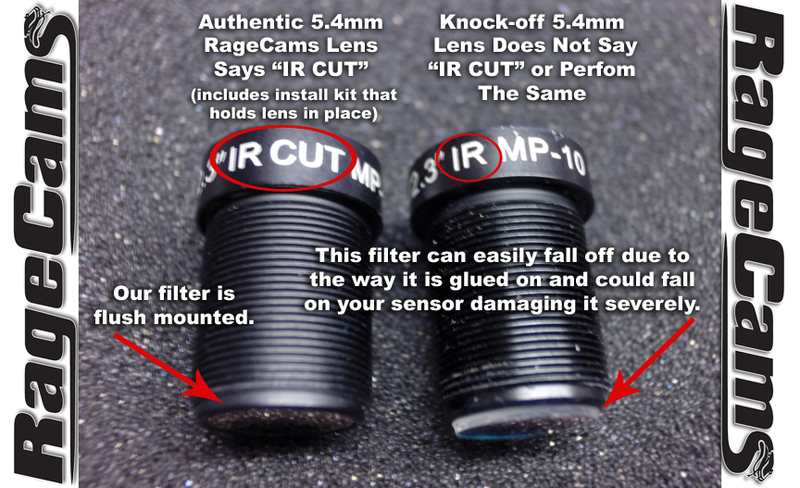 That is the reason most customers replace the original with the 5.4 mm flat lens from RageCams. This lens has been used for volumetric calculations on the dji phantom vision quadcopter & hero cameras for crop evaluation fpv & plant health with the infragram blue filter mod we also offer. 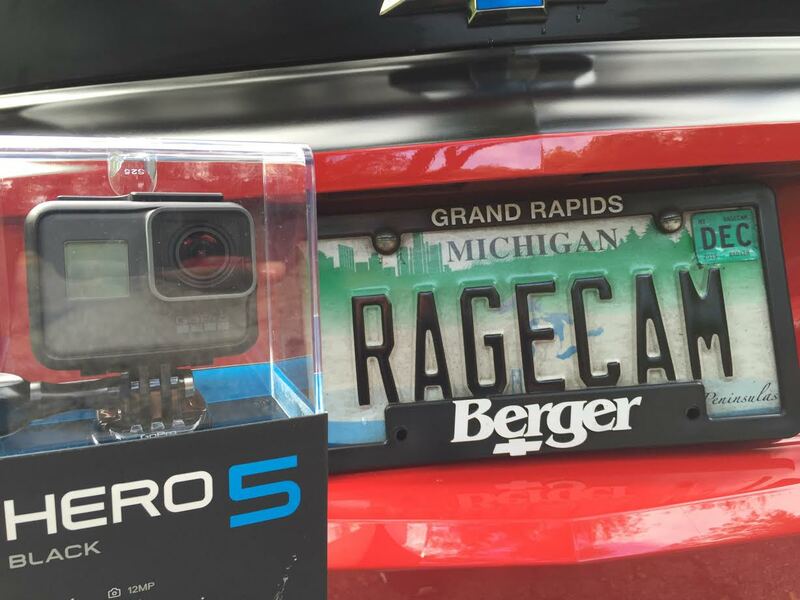 Very special thanks to Tom Keegan for this aerial video using the authentic RageCams 5.4mm lens. Note that these clips were taken on 12-16-13 in New Jersey, USA; about 2 hours before sunset. We have many customers using this lens & posting videos to YouTube, but please be aware that YouTube does not show the true quality of this lens. This lens also works great for aptina board cameras DFM 72BUC02-ML 10mega pixel flat lens DFM 61BUC02-ML DFM 42BUC03-ML DFM 22BUC03-ML. DFM 25GP031-ML gige DMM 31AF03-ML DMM 21AF04-ML DMM 31BF03-ML DMM 31AF03-ML firewire cameras. Very special thanks to Armin Hinz for this aerial fpv copter video using the 5.4mm RageCams mod on the GoPro HD HERO 3 Black. We can also install this lens for you on your camera. 1- BRAND NEW ULTRA SHARP RAGECAMS USA DEVELOPED 5.4MM LENS WITH PUSH ON LEVELING FOCUS RING APPX 80 DEGREE FOV WITH BOKEH & MACRO FOCUSING ABILITY, WHICH IS REALLY NICE FOR THE HERO3 PLUS CAMERA LINE BECAUSE YOU CAN INSTALL OUR LENS IN THE CAMERA EASILY & ALSO RETURN TO THE STOCK LENS AS NEEDED. NO RING MOD NEEDED IF YOU HAVE THE HERO3+ MODEL. THE HERO3 BLACK OLDER MODEL NEEDS A STEP RING GLUES ON YOUR LENS HOLDER TO MAKE IT WORK.